View from the trail entrance on Fairview Avenue. 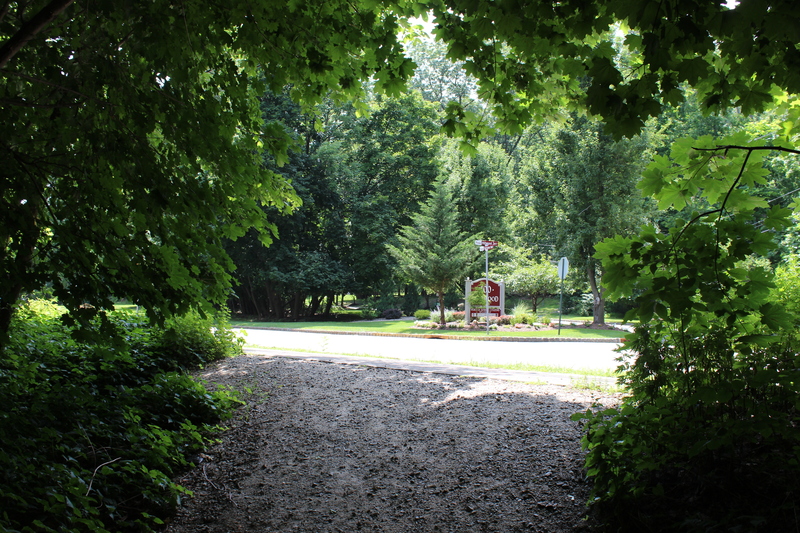 “Is that the trail up ahead?” I ask the two bikers – likely a dad and kid – coming out of the woods on Fairview Avenue in Verona, NJ. “Yes – right where we came out.” The dad looks over his shoulder back toward the woods. I’d had a co-worker recommend the West Essex Trail to me as a hiking spot of a weekend. My hiking time has been a little limited this summer, due to a sprained ankle that took a while to heal, plus the usual time-eaters (work, grad school). So, having a few spare hours on a recent Sunday afternoon, I drove up Bloomfield Avenue from Montclair to Verona, boots on and backpack in tow.